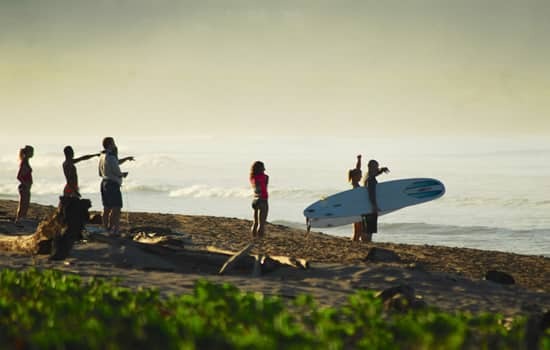 Travel to Tamarindo, a tropical surf town surrounded by multiple surf breaks. Surf amazing waves, create lifelong friendships, and relax on the beach at Witch’s Rock Surf Camp. Why Go To Witch's Rock? Over 50,000 guests have stayed at Witch's Rock Surf Camp since we started in 2001. The best Costa Rica surf camp since 2001. We teach you everything about surfing from the ground up. 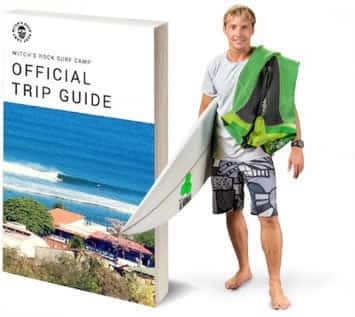 Learn the skills and etiquette to catch and ride green waves consistently and confidently. 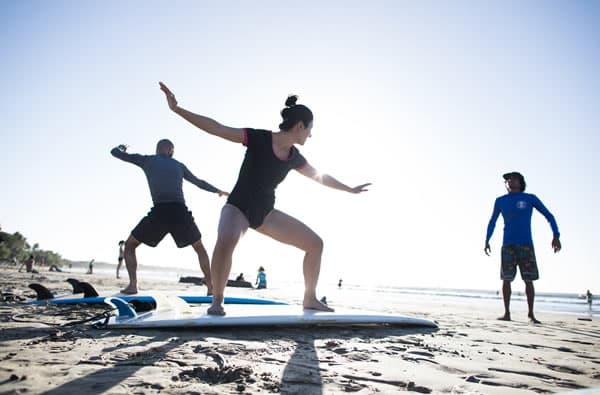 Catch more, bigger waves with our expert surf instructors. Explore other surf breaks in the area by land and boat. Continue improving your skills with video analysis and in-water coaching. Surf Costa Rica’s top spots. Our expert guides know the local conditions and take you to where it’s breaking best every single day. Surf the famous Witch’s Rock, Ollie’s Point, Playa Grande, Avellanas, Marbella, Nosara, and more. Unforgettable surfing experiences to share with everyone in your family. 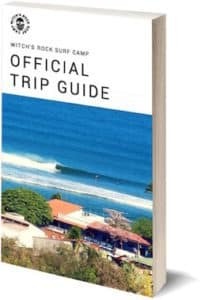 Receive personalized surf camp programs for everyone in your group. Customized packages can include zip lines, sunset catamaran tours, hot springs and more. Our beachfront hotel puts you right where you want to be. On the surf. Keep an eye on the conditions. Score the best waves. Surf your brains out. Stay in our beachfront hotel overlooking Tamarindo’s best waves. Many rooms have an ocean view. All rooms are close to the sand and include air conditioning and streaming fast wifi. 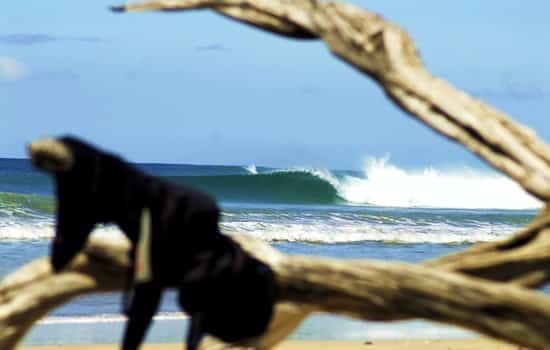 Surf camps include a combination of daily surf lessons, surf seminars, surf tours by van and boat, videography, video analysis, and a graduation surf trip and party. 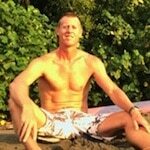 Beginner surf camps are based in Tamarindo. 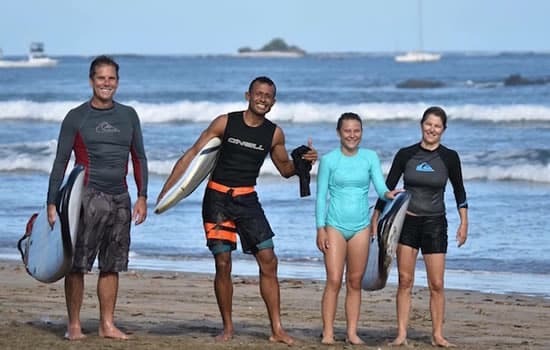 Intermediate surf programs provide instruction in Tamarindo as well as surf trips to other nearby surf breaks. Advanced surf tours provide no surf instruction and take you to wherever the waves are breaking biggest/best. You can test and change boards as many times as you like all day long. We have over 250 surfboards in our rental fleet: long boards, mid-range, shortboards, and alternative shapes by Firewire, Robert August, Von Sol, Walden, and more. We provide free airport transportation to and from the Liberia International Airport in our air conditioned vans. Witchs Rock Surf Camp has Surf Camp Vacations for Everyone. My name is Joe Walsh, I’m the founder of Witch’s Rock Surf Camp. Witch’s Rock was born from a dream that turned into a reality. In 2001 we drove a school bus from San Diego to Tamarindo to start the best Costa Rica surf camp and here it is. My goal is to provide you with a great place to stay, fun waves to ride, and the chance to make lifelong friendships. I hope to see you in the water.